The National Fire Authority plays a significant role in our country’s fire and emergency management services delivery to the various communities around the country, says Yogesh Karan. 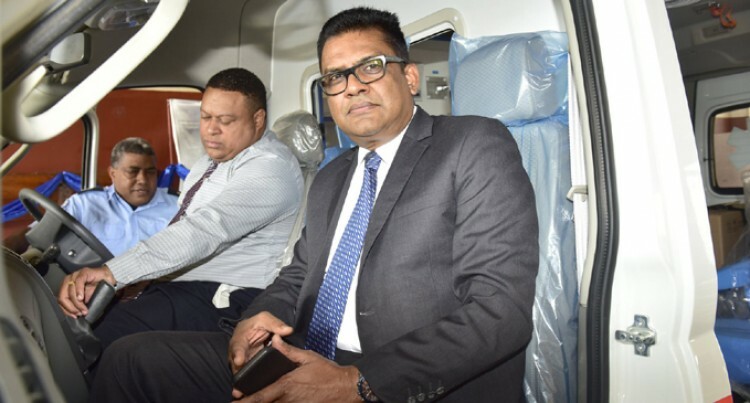 The Permanent Secretary in the Of­fice of the Prime Minister made the remarks when he handed over a new ambulance to the National Fire Au­thority at Walu Bay on Tuesday. “The ambulance as I understand will be assigned to the Hidden Para­dise of Savusavu, in fulfilment of the Honourable Prime Minister’s com­mitment to the people of Savusavu,” Mr Karan said. He also revealed that the National Fire Authority had attended to 10,799 ambulance calls which averages 2694 calls per year. “It is Government’s plan, as well as that of the National Fire Author­ity, to ensure that this essential ser­vice expands into all the areas,” Mr Karan said. “The Government continues to as­sist the Ambulance service around the country with an operating grant of $1.6 million. The ambulance was donated by the Government of the People’s Repub­lic of China through a bilateral aid assistance programme.